Come to Seven Hills Hideaway for a simpler, slower pace of life. It's a place to relax, unwind and escape from the hustle, bustle and stresses of modern day living: a place for making memories. Our 16th century farmstead lies in tranquil countryside on the edge of the Brecon Beacons, where you'll find 3 luxurious tented lodges for up to 6 guests each. There's 110 acres for you to explore, with an ancient cider orchard, rolling pastures and a meandering stream, all full of wildlife. You can 'stay away from it all', walking the hills, exploring valleys, discovering hidden gems; or take in our towns and cities. We're just 4 miles from Abergavenny; Monmouth, Hay-on-Wye, Hereford (even Cardiff, Bristol and Bath) are all within easy reach. More locally, Offa's Dyke passes close by; we have ruined Normal castles, a lively local inn, historic churches and cider mills, even a vineyard to visit too. It's a very special place, with the most amazing starry skies; we'd love to share it with you. There are no rooms available at Seven Hills Hideaway for these dates. Luxurious glamping safari tent named after the mountain overlooking the farm. Sleeps 6 in 3 double bedrooms (1 king size, 1 twin & 1 double sleeping cabin). Spacious, well-equipped and beautifully furnished. The Blorenge is our second lodge, named after one of the seven hills of Abergavenny. Sleeps 6 in 3 double bedrooms (1 king size, 1 twin & 1 double sleeping cabin). A luxurious country chic hideaway, surrounded by rolling countryside. Sugarloaf sits at the top of our wildflower meadow. Sleeps 6 in 3 double bedrooms (1 king size, 1 twin & 1 double sleeping cabin). The perfect place to get away from it all under our amazing starry skies. Wi-fi: There is no wireless internet available. Pets: Pets are allowed at a charge of £25.00 per stay. Fab small glamping site. Kids loved the hot tub and feeding the alpacas. Good location on edge of beacons with pubs/walks nearby. Lovely tent, if a bit fresh first thing! The tents are amazing, so lovely inside you almost forget you’re in canvas! Lovely decor and really nice quality bedding and towels. Log burner is amazing and gets everywhere so cosy. Lots of lovely touches like hot water bottles, lanterns and a welcome basket. It’s so nice to have a proper shower and toilet available too, shower was great and water nice and hot! The hot tub is great and so easy to use. The farm and field is really nice and the animals and chickens around are so sweet, Fran also let us feed the alpacas and cuddle chickens! . We had a great time and would definitely come back. Thanks for having us! Abergavenny seems really nice, vineyard with wine tasting five minutes away was lovely. Waterfalls by Talybont are beautiful. So welcoming and friendly. Francesca gave us lots of information when we arrived. The safari tent was was cosy and very clean. My family loved the open field, the kids could play in safely. Brilliant holiday. Idyllic surroundings, friendly hosts who can't do enough for you, comfortable beds and hot showers... What more can you ask for! We've already recommended you to friends and family and will continue to do so! Big Pit is a must! Yo dont really need to go anywhere as the place has all you need to eat.. But i would recommend that you try the White castle vineyard and the Walnut tree. We loved it! 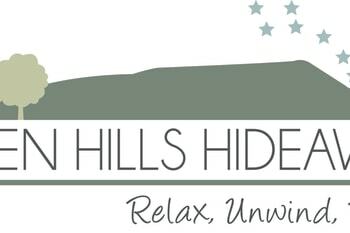 In fact I’ve already raved about Severn Hills Hideaway to friends and we are planning our next visits! Such attention to detail in the decor, such a relaxing location... just perfect. What a wonderful glamping experience, Francesca has created, here. The accommodation is 1st, class, fixtures and fittings are all of a high quality and everything that you may need, is provided. The lodges are spotlessly clean and I'm fussy. What a delight to have the hot tub too, perfect for relaxing, in the evenings. We had a wonderful 4 nights stay this week and Francesca, is an absolute treasure, nothing is too much trouble and she is super friendly. The whole site is very well kept and how wonderful to have the sheep and alpacas grazing in the field. If you want to leave the site, there are walks, mountains and the town of Abergavenny, all close by but once you get settled in, you may never want to leave. Ideal for families or couples. The perfect break. There are a lot of good walks. The Skirrid is well worth the climb, if you are reasonably fit. Abergavenny, is a short distance away and has a really good range of small, independent shops and supermarket too. The Tuesday market is very good. Very well run and friendly. Ideal for small children. Helpful Hints: The kitchen area could be improved with more work service and a few extra items - cafetiere, tin opener, grater. The duvets were too hot and the plastic under sheets very sweaty. Dark coloured towels might be better than white! Francesca couldn't have been more accommodating if she had tried. Nothing was too much trouble at all. The tent was great fun and more than big enough for the 6 of us. The hot tub was fantastic and we thoroughly enjoyed relaxing in it, we were also very lucky as it was the warmest weekend of the year so far. Would definitely come back. Everything was perfect for our family of 5. If your thinking about booking, I would highly recommend you do. We enjoyed the walk to/look round White Castle, and short drive to walk Skirrid Fawr and Sugar Loaf, both National Trust. We also enjoyed an afternoon out at the Big Pit National Coal Museum. Lovely atmosphere, pub grub and ale at The Hunters Moon, Llangattock Lingoed. There's a few good close short walks or for the more energetic a short drive away there is a lot more to offer - we enjoyed cooking and BBQ at the tent but if you fancy a night off then 1861 is a fabulous restaurant. Francesca was very willing to help, especially with my useless attempts to light the wood burner! I needed to keep the booking secret from my wife because the family were meeting up there for her birthday so Francesca was great at remembering not to post anything to me but to keep me informed via email.The family really enjoyed the hot tub. We only stayed for 2 nights. On the Saturday we had a very good family meal and celebration in the Bell at Skenfrith followed by a walk around the castle and area. We had a fantastic time and were hosted wonderfully, thanks. From feeding the chickens to the bottle of local cider left for us (lovely ! by the way - I wish I'd bought some more). Thank you so much. Possible improvements? A light in the bathroom (or a permanent lamp) & a storage box or bench for bags? but everything else was truly perfect and well thought out! Very well equipped! Facilities fantastic and the owners were very welcoming. It was our first glamping experience and it will be hard to outperform this one. We had a fabulous time - great location - super host - great accomodation. Truly perfect experience! We really enjoyed our stay with you. Everything went well and the accommmodation was 1st class. Plenty to do and see in th area. Just chillout and relax. The tent was very comfortable and we'll equipped. Seven Hills is all about luxury, comfort and peacefulness. Everything is thought of and I'm sure if you thought of something Francesca would be there to help! We had an absolutely fantastic time at Seven Hills. Our 3 children really enjoyed having the freedom to roam and play as they wished. Francesca is a great hostess and happily assisted where needed. She goes above and beyond to ensure you have a fantastic stay. Our favourite eatery was the Hunters Moon Inn, both child and dog friendly! We enjoyed lots of walks around the local area including the skirrid and blorenge but I felt our time was just as well spent at the lodge enjoying the calm! Such an amazing and special place. The lodge was perfect and Francesca the owner, was so welcoming. The meadow the lodges are located in is just beautiful. There are plenty of castles to see in the immediate area. Our favourite was the "White Castle", just a few minutes drive away. Lovely walks straight from the lodge. A cider farm and a vineyard are close by and are well worth a visit. We ordered the Farmhouse Afternoon Tea to have in the lodge for our daughter's birthday which was delicious. A fabulous time had by all. Couldn't wish for a better setting! A great place to relax and unwind. The tents were well designed, clean, stylish and had everything you needed. The setting in the meadow was lovely with great views across to the mountains. Very friendly welcoming hosts who really have thought of everything. Would definitely recommend as a place to stay to explore the Welsh mountains. We absolutely loved this holiday, the tent was incredible and attention to detail with the furniture and bits of decor made it feel so special. Beds were super cosy and hot tub was the dream! Francesca and the rest of the family we met were so helpful and friendly and nothing was too much trouble. Dream holiday! We struggled to get the fire going until Francesca set it up for us and then it was roasting! Luckily we could cook on the hob or BBQ though and stayed on a warm weekend. Bring an extra towel for the hot tub as well as flip flops to get outside and slippers for inside - these were good tips from Francesca before we came! Abergavenny was lovely to wander around, lots of pretty little shops and cafes. We didn't really do much else as the site was lovely to relax in! No wifi and barely any phone signal which was bliss! Francesca did say you could access her wifi by the house though if needed. I've just come back from a 3 night stay in sugar loaf cottage. there were 4 adults and 6 children aged from 9 months to 5 years and we all had the best time. the cottage was spotless and the facilities were really good- the hot tub and electricity being my favourite! . we all enjoyed exploring the grounds and visiting the animals and the children had hours of fun outside playing. we booked both the afternoon tea and had bbq package and they were both really good. francesca was absolutely brilliant from the moment we booked-(sorting dietry requirements and recommending local ammenities) andthroughout our stay where she was happy help to take the children to see the animals up close! we had the best weekend making great memories and would definitely recommend it. Abergavenny is about a 5 minute drive away . there was a nice fish and chip shop there. as we were only here for 3 nights we didn't need to venture out as the kids were happy enough playing in the field. We all went to restaurant 1861 which was just 6 minutes down the road and also very accommodating to our big group, even setting out the drinks/lounge area for us afterwards to carry on our evening for a bit longer. Accommodation is very generously sized and it is clear that a lot of effort has been put into making and keeping it homely and welcoming. The welcome-bottles of cider/ apple juice & welsh cakes were a lovely touch, and we were impressed to find that so many basics (soap, washing-up liquid, condiments) were provided. The accommodation was spotlessly clean on arrival and our induction into the use of the hot tub and wood burner were clear and very helpful. Francesca was really welcoming and was able to advise us on both the local area and further afar. The location is perfect for those who want to take either a break or a hike, being in the middle of the stunning Welsh countryside and a stone's throw away from the Skirrid. It's a short drive into Abergavenny and a slightly longer trip into the heart of the Brecon Beacons. In short, Seven Hills Hideaway is a real gem; one that we intend to visit again as soon as possible. Skirrid is a lovely hill walk with spectacular views - highly recommended. Turn left onto the main road and follow. Park in the National Trust car park opposite the Copper Kettle(which is a nice place for a bite to eat afterwards!) About an hour drive (some narrow roads) to car parks in 'Waterfall Country', where a hike of around 6 miles in total takes in the most impressive waterfalls in the area (including one that you can walk behind). Stunning area and a nice walk (moderately challenging, some quite steep inclines). Abergavenny has a great market off the high street and a number of decent pubs serving food. Highly recommend 'Pizzorante' in Abergavenny - delicious Italian food cooked in full view in their open kitchen. Luigi's do a nice breakfast for a good price, too. Fabulous weekend, beautiful accommodation and the most welcoming people (and alpacas). The tents are stunning and the hot tub just topped it all off perfectly! Everything you need is in the tents and Francesca is so helpful and ordered us a taxi when we needed it - perfect weekend away. Lots of lovely touches in the accommodation, you have thought of everything! Fran was so helpful and even offered us a lift into town when our taxi didn't turn up. Thank you for a wonderful weekend in a beautiful setting. Black Mountain Activities Boonta Too Thai, Abergavenny. Delicious food, good value set menus and bring your own bottle. Fantastic glamping experience for both adults and children. Large, well equipped and clean safari tent in a lovely peaceful area. Francesca is fab! Hot tub was amazing. Warm and effective range for heating and cooking. Beautiful walks, especially the old roman road. Hunters Moon pub was relaxing and great food, very welcome atmosphere. Bit of a walk, definitely worth it! Copper kettle good for lunch, ideally set next to the Skirrid walk which is beautiful. Tree swings and field games great for the kids. We had an amazing time at Seven Hills. The facilities were excellent and Francesca was the perfect host. Could not fault anything. It was the perfect setting to celebrate our 10th wedding anniversary. The safari tent had everything you would need and the location was ideal, peaceful and relaxing. The hot tub was just the ticket after a day of cycling/walking. We would definitely go back again in the future! Particularly enjoyed cycling along the canal, walking the summit of Sugarloaf and the Big Pit Museum is well worth a visit. Everything was wonderful, better than we all expected! We came away more refreshed from a weekend here than two weeks away to any other place, every little thing had been thought of and we loved that whilst it was luxurious 'glamping' it didn't feel too over the top and you still had the feel of camping with cooking on the fire stove and limited lighting on a night. It was perfect, we'll be reccomending to everyone we know! We didn't venture out too much during our 2 night stay but did get to the local fruit farm advertised in the tent's welcome pack, the children loved feeding the goats and picking a variety of apples! Another big hit was roasting marshmallows over the charcoal barbecue and playing by the stream on site. Very well organised and efficiently run with excellent service, friendly welcome. Could not want for anything g.
Well placed for walkers and those wishing to connect to nature but have comfort too! A really lovely weekend - I couldn't fault anything. Wonderful owners and in a fantastic location it was presented to us in a beautiful and very welcoming manner. It was surprisingly very warm once the log burner was going and kept going and the warmth lasted til the morning. 12 out of 10 would recommend to anyone and will be coming back. Thanks for your review. It was lovely meeting you all and so pleased that you enjoyed the glamping experience. Fantastic holiday in a perfect setting. I wasn't very good with lighting the stove so a bigger saucepan would have allowed me to cook enough pasta for six people on the induction ring. However this was a minor issue and I had brought camping stoves and equipment not expecting nearly as good facilities. We loved visiting the three castles and enjoyed lunch at The Bull at Skenfrith. The rain poured down but we had the best time! The tents are so well equipped, the beds are gorgeous and everything is so clean! It feels like everything has been set up so well and you have thought of everything. The only very slight point, the fridge could be a bit bigger. To store food / drink for 6 people was a little tricky. Next time we would bring some cool bags with ice packs. But apart from that, it was perfect! Walk to Sugarloaf Mountain summit... breathtaking views!! The 4 waterfalls walk is very much worth a visit....absolutely magical!! Very clean , beds and linen were emaculate and so comfortable. The induction hob is a great idea . Games were great idea for the kids. We do think a toaster would be handy for those who have kids as toast is always on the agenda. The shower was nice and hot just like the hot tub which was welcomed after a long day put exploring. Take a drive to go castle hunting , lots nearby. Lots of lovely shops in Abergevany . We stayed at the safari tent to cook every evening but lots of local pubs and restaurants which have great menus. We had a great family holiday, facilities superb, owner very helpful. Loads to do in surrounding area. I would highly recommend for those wanting an active family holiday. Drover cycles in Hay on Wye about 40min drive away were very helpful. Langorse activity centre for horse riding. Four waterfalls walk for a great (slightly energetic) walk with great scenery. The lodge was exactly as it looked on the website. Everything had been thought of and there was everything we needed. It was incredibly comfortable, tranquil, peaceful and our hosts were incredibly welcoming and ensured we had everything we needed. Very friendly and very helpful. The accommodation was exceptional - well equipped with the most comfortable beds I have ever stayed in! Walk up to the top of Skirrid - it's a must! Eat at Crickhowell - The Bear and The Dragpn Pony Trekk at Llangorse Supertube at Ebbw Vale. Abbergavenny for everything else! Had the most amazing time here at seven hills hideaway.....pure luxury at its finest. Francesca and her husband are so accomodating. The safari tents are something else, I didn't want to go home. When it comes to comfort you will not go wrong here as it is absolute heaven. Had a fab weekend staying at seven hills hideaway. Cannot give it enough praise, the tents are super luxurious, the owner Francesca was lovely and very helpful and the location is excellent, really quiet but not too far from Abergavenny to stock up on supplies etc. Would highly recommend and I will certainly be re booking. We did the walk up Sugarloaf mountain then stopped off at sugarloaf vineyard on the way down. A great day out of you like walking and wine!